Hei, häähumut jatkuvat täälläkin, kolme vintage-tyylistä hääkorttia! 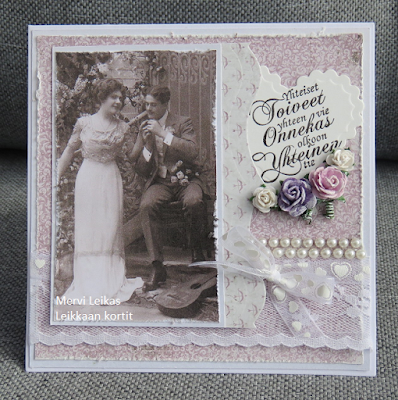 Hi, in the wedding mood here too, here you, are 3 vintage wedding cards! Poiketkaapa tutustumaan ja nauttimaan kuppi kahvia ja ihania leivonnaisia. This is a photo from my retailer vintage styled decor and cafe Wanha Justiina at the city of Lahti. Just popped in and left more cards there. A beautiful assortment of vintage cards, the images are gorgeous! And what an amazing furniture piece and decor at your retailers. 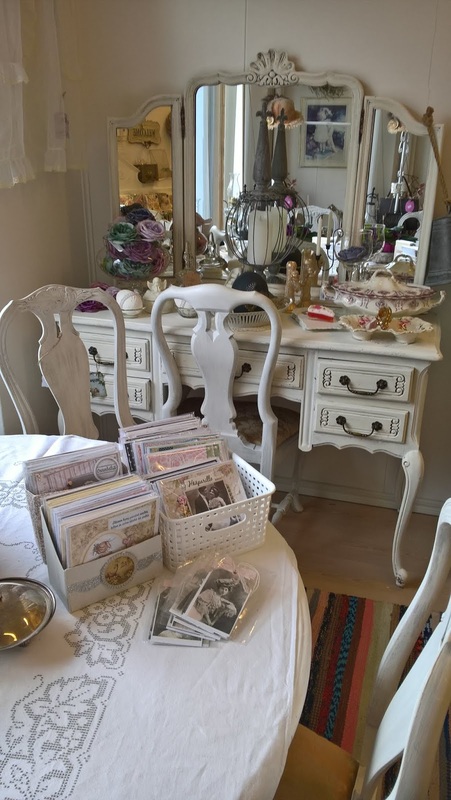 A perfect place to sell your handmade cards. I'd love to visit that cafe!